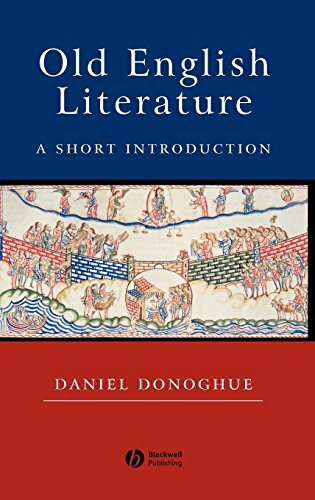 This innovative and intriguing introduction to Old English literature is structured around what the author calls ‘figures’ from Anglo-Saxon culture: the Vow, the Hall, the Miracle, the Pulpit, and the Scholar. - An innovative and intriguing introduction to Old English literature. - Structured around ‘figures’ from Anglo-Saxon culture: the Vow, the Hall, the Miracle, the Pulpit, and the Scholar. - Situates Old English literary texts within a cultural framework. - Creates new connections between different genres, periods and authors. - Combines close textual analysis with historical context. - Based on the author’s many years experience of teaching Old English literature. - The author is co-editor with Seamus Heaney of Beowulf: A Verse Translation (2001) and recently published with Blackwell Lady Godiva: A Literary History of the Legend (2003). Last edited by arcadius; 11-30-2016 at 09:38 PM. @CELSOJUNIOR , reuploaded. Try now. This is wrong place for asking expired links to be reuploaded.